The Watson-Glaser test is known to be a unique and difficult test, requiring high-level reasoning skills. It includes 40 items, to be answered in 30 minutes and is administered by Pearson TalentLens. Although the test is timed, time constraints are not meant to be an obstacle. Unlike other psychometric assessments (numerical and verbal reasoning), most candidates will complete the test within the time limit. Note: There is also an older, less popular version of the test that includes 80 items to be answered in 60 minutes. The length of the test does not affect its question types or difficulty levels. The questions offered on this page serve as examples of the materials found in our Watson-Glaser practice pack. Our expert have made you this initial walk-through of Watson Glaser test questions to get you started on your way to get the score you need and land your dream job. In this section, you are asked to draw conclusions from observed or supposed facts. You are presented with a short text containing a series of facts you should consider as true. Below the text is a statement that may or may not be inferred from the text. You need to make a judgement on the degree of the inference’s plausibility and determine if it is true or most likely true. Or, if there is insufficient data to be determined it is probably false or fully false. Similar to the classic ‘true/false/cannot say’ questions, ‘true’ means the inference is, without a doubt, correct. ‘False’ meanwhile means the inference could not be correct, under any circumstances. Lastly, ‘cannot say’ means you simply don’t have enough information to make a decision. Watson-Glaser puts a twist on this popular question type by adding grey areas such as, ‘probably true’ and ‘probably false’. This means, it’s not possible to know for sure, but it’s more likely to be true or false. The trickiness in this section is to determine between the ‘probabilities’ and the ‘insufficient data’ that is given. To do that, you must not only analyse the text, but also use your common sense and world knowledge. Following a reduction in the number of applicants, the college has been asking students to evaluate faculty teaching performance for the last two years. The college's management announced that the purpose of these evaluations is to provide information to faculty about teachers' strengths and weaknesses, and to help higher management make decisions about pay raises and promotions to reward the better teachers. Last week, Professor Burke, a recently retired senior lecturer at the college, wrote a letter in which he objected to these evaluations, claiming they compromised academic standards. The college management does not care about academic excellence at all. This is a very definitive assertion that cannot be derived from the text. Even if the purpose of the evaluation is student satisfaction rather than trying to promote academic standards, it is very unlikely that the management does not care about the academic level at all. Remember, you can use common sense and world knowledge when deciding between 'Probably' and 'Insufficient Data'. This section tests your ability to avoid taking for granted things that are not necessarily true and recognise that some concepts are taken for granted. Here, you are given a statement, followed by a proposed assumption. Your task is to determine whether the speaker of the statement has made that assumption or not. Importantly, you are not asked to decide whether the assumption is justified or true; only if it was made. A career at DX Electronics is the best choice - it is the most stable workplace. Most of DX Electronics' employees are satisfied with their current company management. The above text does not relate to employee satisfaction in any way. It might make sense that a workplace’s employees must be satisfied for it to be stable, but one does not have to make this assumption to make this statement. Similar to the first section, deduction also tests your ability to formulate conclusions from given facts, however, it is done with a different format. After reading the passage or statements and the proposed conclusion, you will have to determine whether the conclusion necessarily follows the passage or not. That is, the answers here are only marked ‘conclusion follows’ – if the conclusion is relevant to the passage or sentences, or not. Thus, if there is any scenario is implausible the answer would then be ‘conclusion does not follow’. Important Note (beware! ): This section often involves syllogism and formal logic. However, The Watson-Glaser test has rules of its own, and prior familiarity with formal knowledge tests may be at your expense. If you are familiar with formal logic tests and their rules, you might know that in most, a generalisation type premise is considered hypothetical and therefore does not equal the existence of the subject in the statement. In such tests the premises ‘all bears are blue’ and ‘all blue things are nice’ will not lead to the conclusion that ‘some bears are nice’, because the two premises are generalisations and therefore do not equal existence. This is not the case in the Watson-Glaser test. In this test, you can assume the existence of any group mentioned in the premises, even if it only appears as part of a generalising statement. Therefore, in the Watson-Glaser test, the conclusion ‘some bears are nice’ does follow the premises. Only technological companies are listed on OTX stock market. No technological company remains unstable for a long period of time. If your company is listed on OTX, it will not be unstable for a long time. Technological companies = A, listed on OTX stock market = B, unstable for a long period of time = C.
According to the premises, (only A -> B), which equals (B -> A), and (no A -> C), which equals (A -> ~C). The combination of the premises is (B -> ~C). The conclusion states (B -> ~C). Like the previous question, this is a combination of the two premises. If only technological companies are listed on OTX stock market, and no technological company remains unstable for a long period of time, then no company listed on OTX will be unstable for a long time. The questions in this section look very similar to the ones in the deduction section, however there are two major differences. For starters, there is no formal logic involved. In addition, while the questions look the same, the rules are different. In this section, the instruction is to mark ‘conclusion follows’ if it follows beyond a reasonable doubt, and not necessarily like the previous section. That is, an answer to a question can still be ‘conclusion follows’ even if you can think the scenario is extremely unlikely. Meanwhile, reasonable doubt is a subjective term where you can think of the answer as a strong ‘probably true’ statement. Remember to pay attention to the sample questions at the beginning of the section. They may help clarify the issue. Professor Diamond grades his class based on a grading curve in which the highest grade in each class on the final counts as an A and the lowest grade as an F, with all other scores adjusted accordingly. So, if a midterm is worth 40 points, and the highest actual score is 36 points, then that person gets 100 percent and everybody else gets a percentage relative to it. If a student in professor Diamond’s class score 0%, he will get an F.
The lowest grade possible is 0%, thus you can conclude that if someone scored 0%, they will get an F. We can then consider curving grade scenarios where more than one student scores 0%. For example, if every single student in the class scored 0%, what grade with one student receive. But since that scenario is improbable, the answer is conclusion follows. However, because that scenario exists, the answer to this question in section 3, ‘deduction’, would then be ‘conclusion does not follow’. The passage does not tell you anything about what would happen if a student scores 0%, thus the conclusion does not necessarily follow. Several years ago, Harold and his wife adopted a two-year-old orphan named Betty. Today Betty is an undergraduate student, living far away from home. Harold feels unhappy and misses Betty tremendously. He would like her to come home more often. If Betty came home more often, Harold would be happier. The passage presents enough information to conclude beyond a reasonable doubt if Betty came home more often, Harold would miss her less and be happier. Note that had this been a question in section three (deduction), the answer would be ‘conclusion does not follow’, as this does not follow necessarily. Given that in this section you should decide whether or not the conclusion follows beyond a reasonable doubt and not absolutely or necessarily, the answer is ‘conclusion follows’. This section measures your ability to evaluate the strength of arguments. You are given a question regarding a certain issue, typically social or economic, (‘should X do Y?’) followed by an argument (‘yes, because…’ or ‘no, because…’). You are to regard every argument as true; the question is whether it is weak or strong. Remember, a strong argument is both directly related to the question and important. A weak argument meanwhile is one that is not directly related to the question (even though it may be of great general importance), or if it is of minor importance or it is related only to trivial aspects of the question. Should employees who have over five years of experience in the company be bound by law to give employers an advance notice of 60 days upon resignation? No. Labour laws such as this one that protect employers discourage employees, making them less efficient in the workplace. If you consider this argument as true, as you are required to, then this argument is strong. It is relevant to the question of whether there should be a law forcing employees to give two months’ notice before they can resign, and it is important, stating that such laws would only render employees less motivated and productive. Therefore, the argument is strong. Continue Practising what You Started - with the Full PrepPack. Our comprehensive PrepPack™ includes tools and practice material that will help you reach your fullest potential come test day. Take the diagnostic test as a first step, to assess which of the sections are your weakest, and require more practice. Follow the instructions of the diagnostic guide: practise drills for each section separately, to sharpen your understanding of the different rules and styles. Read and implement our thorough and extensive study guides. They delve into each of the sections, providing examples, explanations, and clarifications for tricky parts of the test. Continue practising with the drills and read all the explanations – even for questions you answered correctly! They may include useful tips or improve your understanding of the concepts. 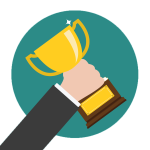 Finish up with two full-length Watson-Glaser practice tests that match your norm group (supervisors and junior management/managers, professionals and graduates/senior management); take them in the timed-mode to simulate to the time limit and pressure of the real test. Don’t forget to go over your answers and make sure you understand everything. Some basic advice from our test experts that can take you a long way. Take the example questions if offered. some times you will be offered example questions on your test day before your actual test. if this happens treat it as an opportunity to get confident with the questions you are due to face. The only exception to this advice is if you feel it may tier you. Read the instructions carefully (don't skip them!). Remember, each section has its own rules to follow. Don't spend too much time on a single question. If you finish the questions before the time is up, you can go back to questions you weren't sure of. The time limit does not affect your score. Completing the test with time to spare will not improve your score, thus make sure to use every minute and answer all of the questions. Don't leave any questions unanswered! Pay attention to where you are or are not allowed to use common sense and world knowledge. In some sections you must base your answer solely on the passage, and in others, you have to use common sense to reach the conclusion. Brush on your formal logic. For example, did you know that ‘most bears like beets’. Since this sentence only states that ‘most’ bears like beets, not ‘all’, it means that not all bears enjoy beats. For more tips about formal logic, as well as the rest of the sections, check out our PrepPack™. 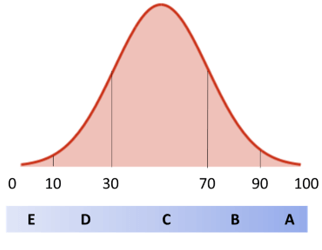 Watson-Glaser scores are given in each section along with a general percentile score. This score is a normalised score that compares your results to other people from the same norm group (graduates, managers, etc.). What is Watson Glaser Critical Thinking Test?